Teen Patti means ‘three cards.’ Teen Patti is a random chance casino game that originated in India. The game has become popular not only in South Asia but in all parts of the world. It is a simplified version of poker. It has simple rules and it is simple to play. 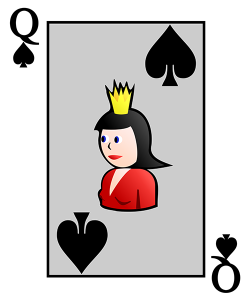 The game uses three cards. Even though it takes time and practice to be a pro in Teen Patti, it is possible to learn the basics and to start enjoying it in just a few minutes. If you get bored easily, there are plenty of options to keep you interested. You do not have to stick to the same version every time you play the game. Explore the different variations of the game and come up with your own. Be creative. Explore the variations that already exist to ensure that you come up with something new. Some of the popular variations include Joker and AK 47. When a Teen Patti game starts, the first player deals the cards in a counter-clockwise way. Players decide on the number of cards each one picks depending on the variation they choose to play. They come up with a boot amount and put it on the table. The boot may be an equal contribution from all players. If a player leaves their post to go get refreshments or for a bathroom break and they miss antes, they need to post before they can get back into the game. If, however, they do not miss the ante, there is no need for posting because they do not get any advantages. You can play Teen Patti using the deck of 52 cards or by adding two jokers to the game. The jokers serve as wild cards Regardless of the option you choose, higher hands are stronger than lower ones. Categories include; straight flush, three of a kind, straight, flush, double, and high card. Players do not have to play using the default graphics and themes. There are many options and you can choose one depending on your preference. The game is a fast one. It only takes a few minutes but there is no limit to the number of rounds one can play. You may choose to play against opponents from different parts of the world or just your friends. The game has messaging options so you can send messages to opponents from all over the world. It has both online and offline modes. Teen Patti continuously transfers information to your phone while you play. It, therefore, takes up a lot of our phone memory. Make sure that your device has enough storage and that you use an updated version of Teen Patti. If you have applications running in the background, stop them. Get rid of unnecessary material to improve the efficiency of your phone. Buying chips for Teen Patti is fast and easy. It is a stable application so your notifications will always come on time. You do not have to worry about losing your chips or any such problems. Always ensure that you have a strong internet connection.